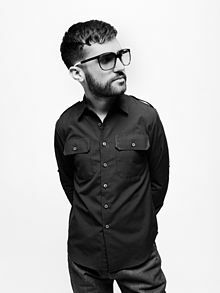 A-Trak is a supremely talented DJ from Montreal who has gained a large and enthusiastic following over the past few years. He is notorious for winning the 1997 DMC World DJ Championship at age 15 – which is crazy – and he has only become more badass in the intervening decade and a half. So, when my friend Cindy tells me that she’s going to see him at The Hoxton on a random Thursday night, what can I do but give in to temptation? 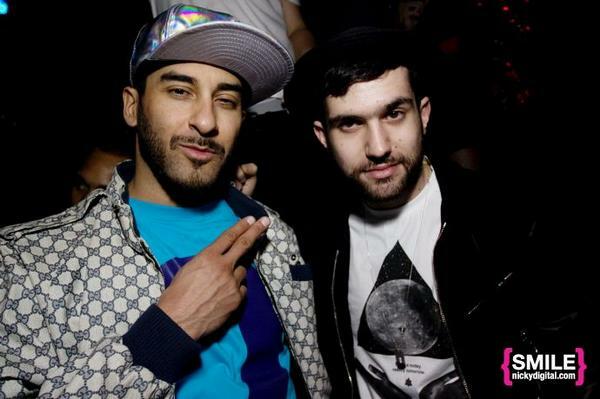 Some context: A-Trak and Armand van Helden are the deadly DJ-duo who go by the name of Duck Sauce. You can listen to A-Trak’s February Mix for a different sound, if you’re into that sort of thing. Mink and I get to The Hoxton on time for an event for once, which actually works to our disadvantage because the doors aren’t even open yet. We stand in the blustery cold with a few other keeners, waiting for one of the seven bouncers to look our way and finally have mercy on our poor, shivering souls. The venue is perfect for a DJ set. The stage is about three feet high, with a massive table covered in techy stuff perched right at its edge. The speakers are huge. A skinny DJ in an endearing maroon dress shirt is already warming up the turntables, head bobbing to the beats he is consumed with conjuring. The Hoxton begins to fill up with swanky club people. Dudes sporting immaculate leather jackets and gold chains (and, inexplicably, sunglasses both inside and at night) fist bump each other in greeting. Angular women wearing gauzy dresses and towering stilettos kiss the air beside acquaintances’ faces. I feel a moment’s hesitation. My nondescript jeans and black tank top, while suitable for moshing next to the stage, look distinctly out of place next to the long-legged gazelles in couture. But then I realize I don’t care, and I down the rest of my beer in happy anticipation of the dirty beats to come. We meet Cindy and Miranda, and then we buy another round of beer and proceed to slyly make our way to the stage. The second DJ, a friend of A-Trak’s, is pretty solid. Some younger looking kids in plaid are dancing like fiends near the front. One short guy has a Jesus look going on. 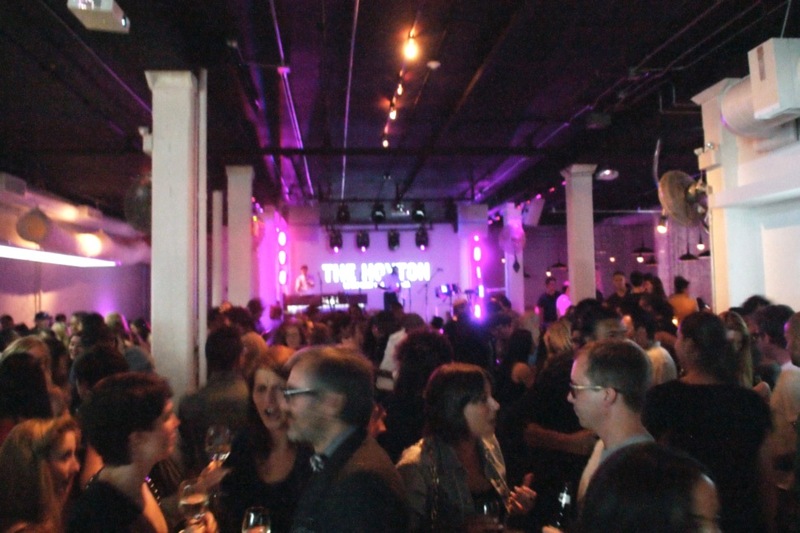 As the DJ’s set winds down, the fluid crowd coagulates and presses eagerly towards the stage. Anticipation thickens the air. There are several drunken girls beside us who are swaying and screaming “A-TRAKKKKK!” and jutting their sharp elbows into my ribcage. I sense immediately that they are going to be really annoying. I am correct. While the general mosh pit experience is rife with occasional molesting from dudes and elbow jabs from intoxicated girls who can barely stand up on their own, being at the front of the crowd has its distinct advantages. Cindy reaches up and A-Trak grabs her hand. He stands at the edge of the stage and I accidentally-not-so-accidentally pat his stomach instead of giving him a high-five (sorry about that, A-Trak). We get photos and video of him spinning from one foot away. He leaps off the stage to crowd surf during “Barbra Streisand” and we narrowly miss getting kicked in the head. After the show, Cindy and I try not to come off as ogling fan girls when we shake his hand. “Thanks for the great show!” I say in as normal a voice as I can muster. He seems genuinely appreciative, and we walk away with grins on our faces. I am covered in sweat – both mine and other people’s – and have bruised ribs and tired feet. I still have adrenaline coursing through my body and I know there is a strong chance that tomorrow will herald a slight hangover. What else would I want to do on a Thursday night?